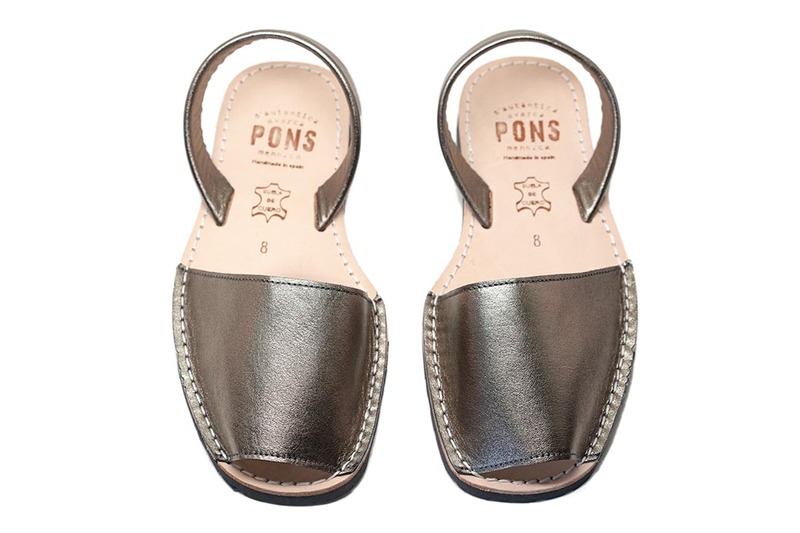 A true neutral that can be paired with black, brown, white, grey, navy... the list keeps going, and these women's Classic Pons Avarcas in Metallic Bronze goes with all of them. Offering a warmer hue than our metallic Pewter color, these sandals are handmade & inspired by the traditional Spanish shoe the Menorquinas. Our Pons sandals are crafted with soft high quality natural leather and have a lightweight rubber sole.